Congratulations to all the 2017-2018 Salute to Excellence students! Revive! 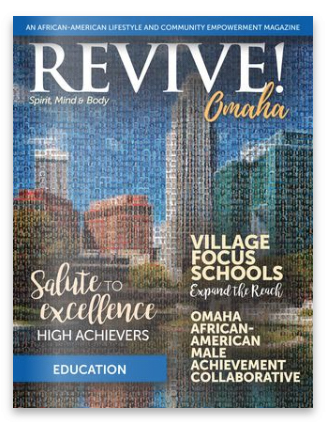 Omaha salutes the African-American high school students in Omaha Public Schools that achieved a 3.5 or higher cumulative grade point average in the 2017–2018 school year. Your hard work and determination have not gone unnoticed. Keep up the great work! 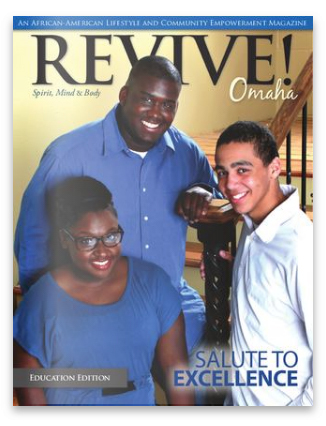 Please click on an edition below to read online. 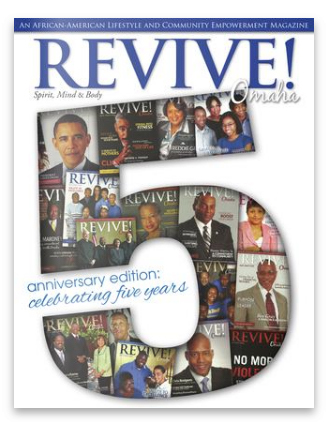 If you are interested in advertising or would like more information regarding our upcoming edition of Revive! 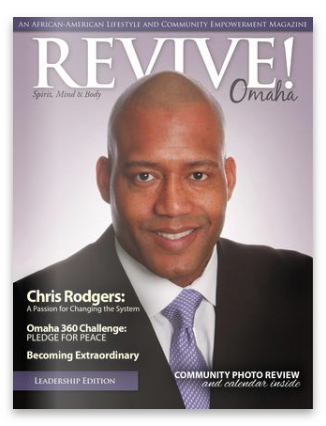 Omaha Magazine, please contact us at info@reviveomaha.com. Revive! 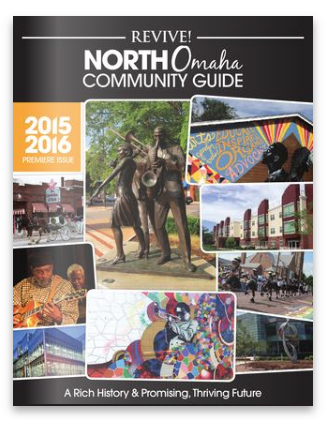 Omaha is a full-color, glossy publication FREE to all Omaha area residents. 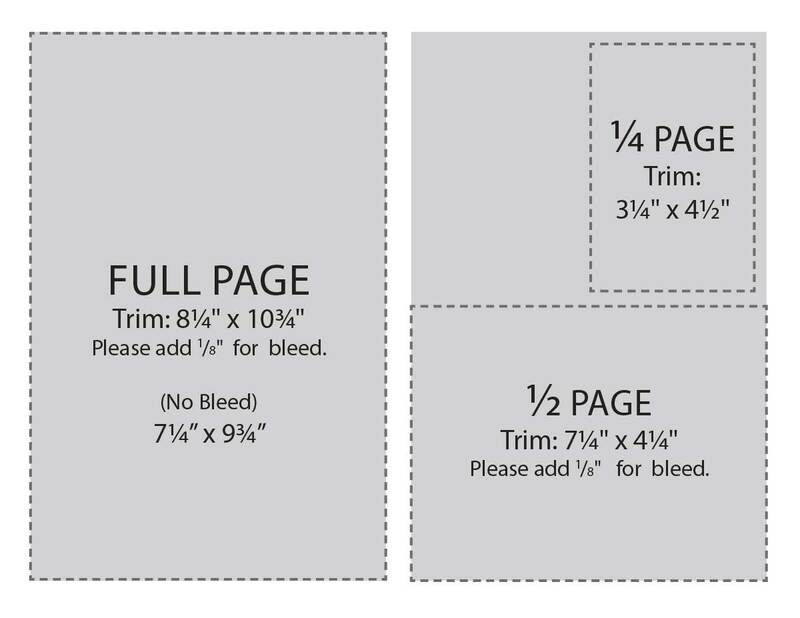 We have three display ad sizes and affordable vendor directory listings available with limited space on a first-come, first-serve basis. 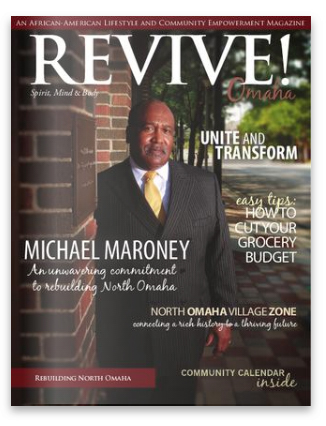 5000 copies are distributed throughout the Omaha area in highly-target areas. Reach your share of a $700 million market. 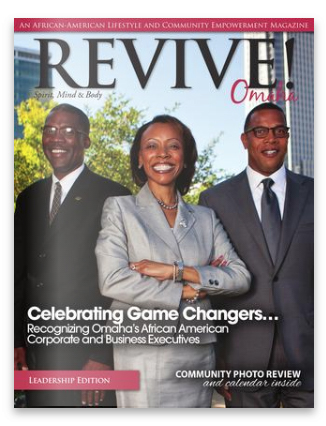 The region’s premier magazine serving the $700 million African-American market. 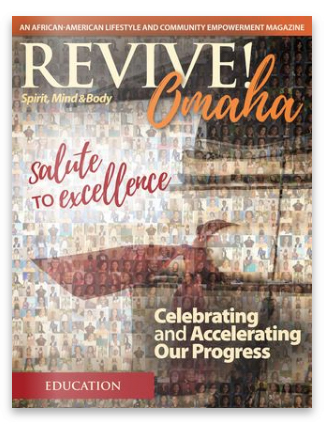 A first-class, full-color magazine! African-American consumers are traditionally hard to reach, misunderstood and their spending potential is usually highly underestimated. 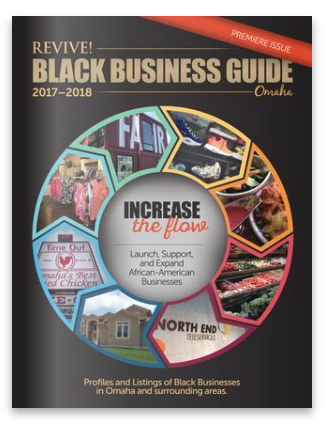 Based on census data, Consumer Buying Power Information, and other local surveys, African-Americans spend an estimated $1.2 billion dollars in the State of Nebraska each year. 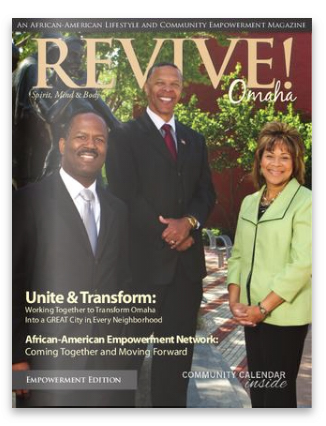 Closer to home, in the Greater Omaha Metro, African-Americans spend approximately $700 million annually. 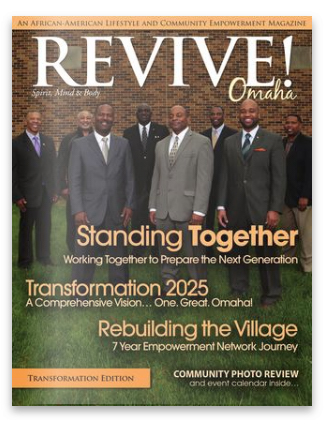 For pricing and more information regarding our upcoming edition of Revive! 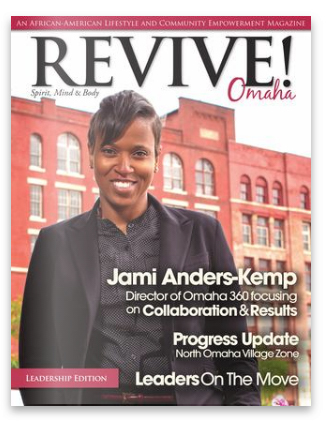 Omaha Magazine, please contact us at info@reviveomaha.com.